"If it weren't for double standards..........."
2. "If it weren't for double standards..........."
Much easier to virtue signal about it than actually allow one of "those people" into your home. 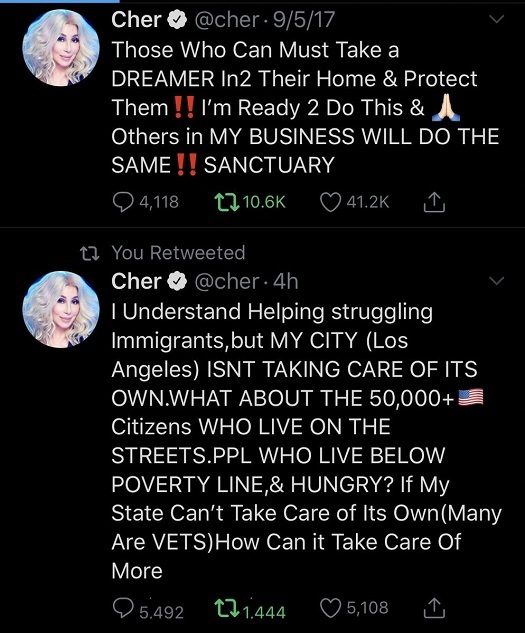 Funny, how pointing out the same thing Cher did on a nationwide basis makes you a racist. Wonder if they'll call her names now?